The Comfort Elite Gold restroom trailer is an air-conditioned and heated mobile restroom trailer that features 3 cabins – two for women and 1 for men. All of the cabins are very spacious and offer 100% privacy. Available at Moon Portable Restrooms, the Comfort Elite Gold features wooden wainscoting, a chair-rail for the elderly, and warm interior tones that give you that “at home feeling”. The same parameters are required for the Comfort Elite Gold that are required by the Comfort Elite III including: a 12’ x 16’ outdoor area on level ground, a 110 volt / 20 amp dedicated circuit, and a water source within 50’ of the trailer. 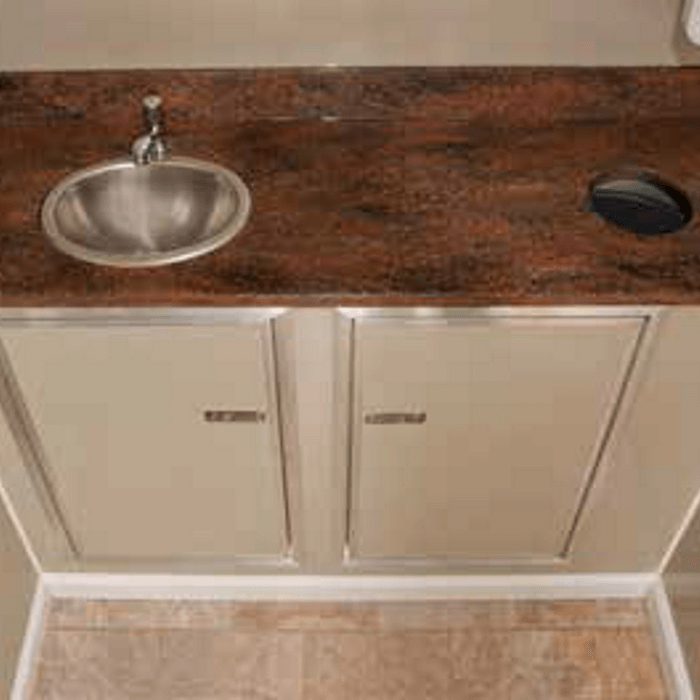 With these three set up requirements, you can offer your guests a luxury outdoor restroom experience that features hot water, air conditioning, and heating! 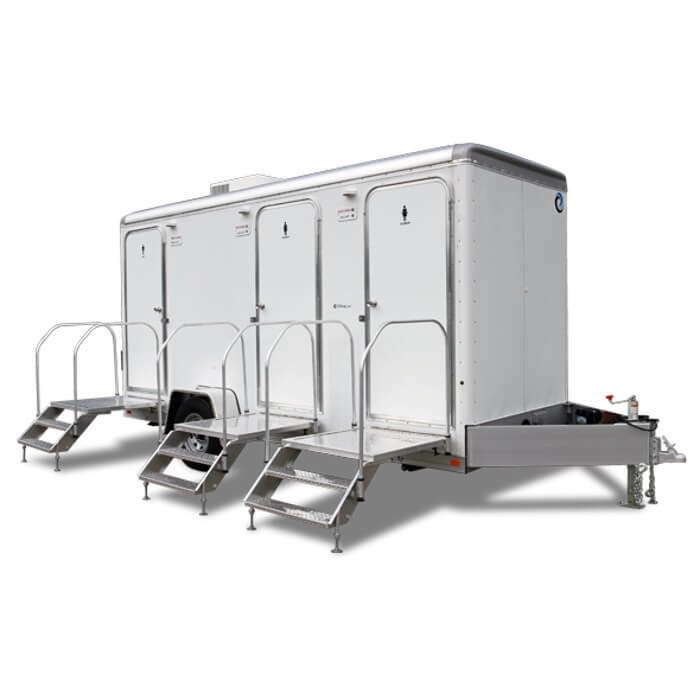 Regardless of the time of the year, your guests will be able to go comfortably when you rent the Comfort Elite Gold restroom trailer from Moon Portable Restrooms. If you are interested in having a Comfort Elite Gold restroom trailer delivered to and set up for your next event, contact Moon Portable Trailers. We’re happy to help in any way we can and have customer service representatives ready to schedule your delivery date and time. All you have to do is call 502-776-2199 today to get started!